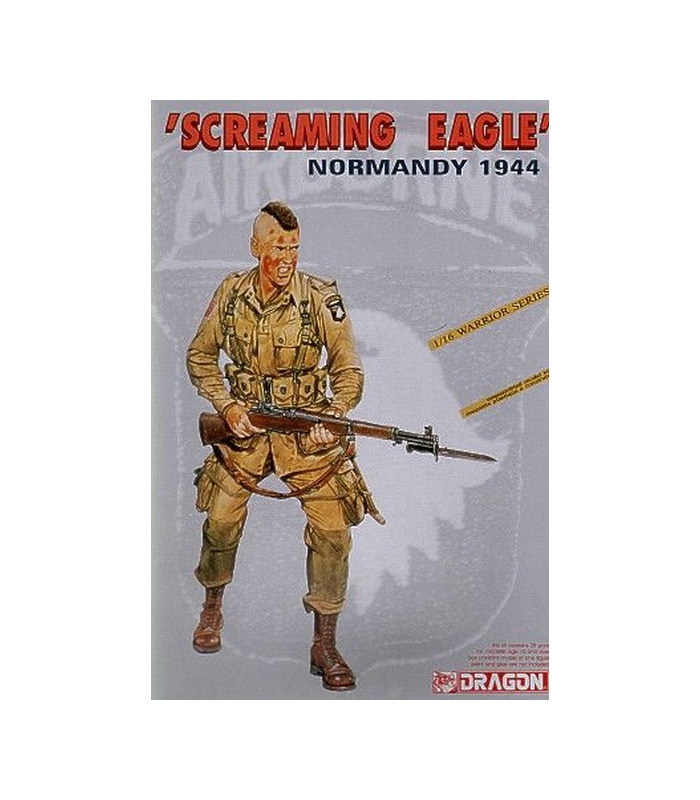 TheAmerican 101st Airborne Division was founded in 1918 and has been nicknamed 'screaming eagle'. It is an elite force specializing in fighting (far) behind enemy lines to capture strategic targets on which an entire operation pivots. It is often the 'tip of the spear' in an assault, hence they are the first to fight in the most dangerous places. 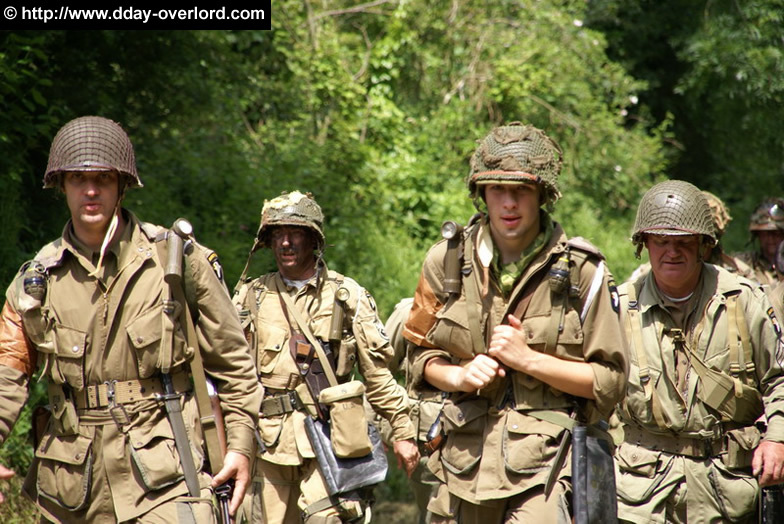 In Wold War II the 101st was significant in, for example, D-day, the battle of the bulge and the liberation of the Netherlands. These days the 101st is equipped with 280 helicopters, including 3 battalions of AH-64 Apaches and is able to deploy 4000 soldiers in a single airlifting operation. 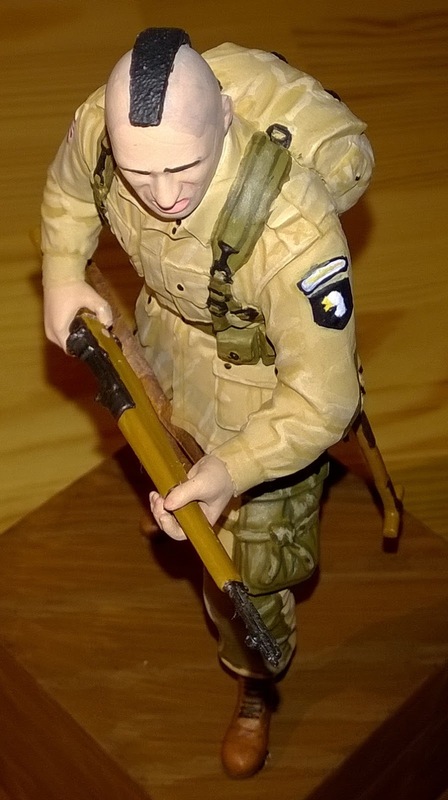 Dragon have chosen to produce a figure depicting a soldier from the 101st during WWII (kit No. 1605). 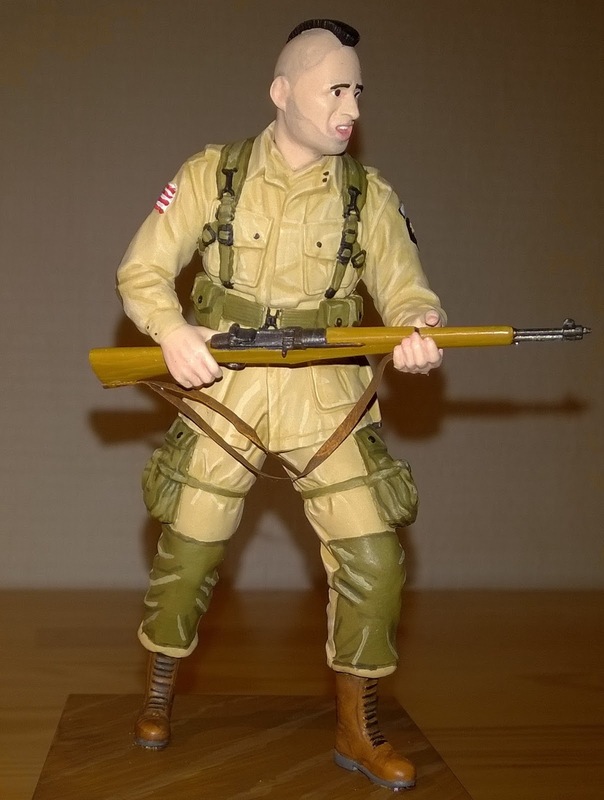 It is the only allied WWII soldier available as a plastic in 1/16 scale. The model is superb however! 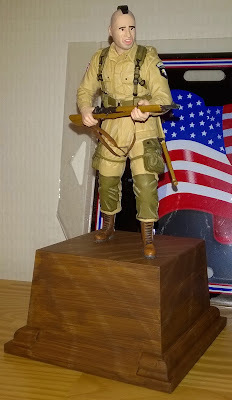 It consists out of only about 25 parts but the figure is as good as a white metal or resin production. The facial expression is very real as well. 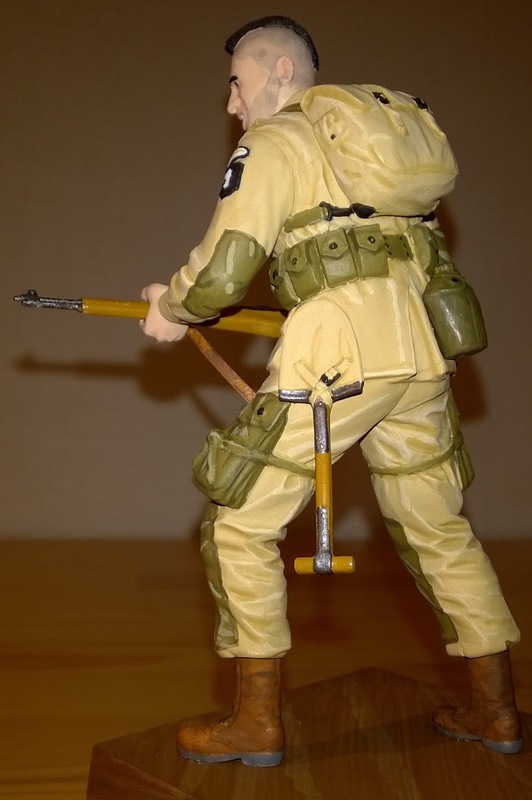 A base is included, I added the shoulder straps for the rifle my self. 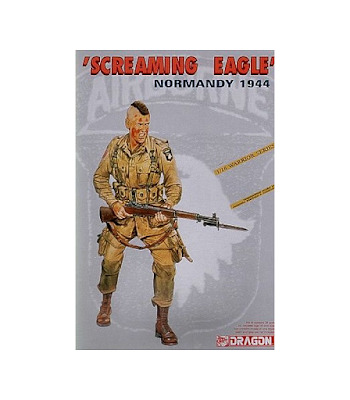 The American uniforms from WWII where not available in every color but there was a huge range of ockers, greens and everything in between. I went with the colors suggested at the box picture. Seeing the photo below from an reenactment that could very well be authentic. The main color is a mix of white and ocker (ocker brown, Revell's 36188) in about equal amounts. Darker and lighter shades are the same mix with more ocker or white respectively. The green is NATO Olive (Revell's 36146). All colors used painting the figure. This model is easy to make and quite easy to paint so also recommended for beginners or even as a first model.